More than half a billion adults and 40 million children on the planet are obese. Diabetes is a worldwide epidemic. Evidence increasingly shows that these illnesses are linked to the other major Western diseases: hypertension, heart disease, even Alzheimer's and cancer, and that shockingly, sugar is likely the single root cause., Yet the nutritional advice we receive from public health bodies is muddled, out of date, and frequently contradictory, and in many quarters still promotes the unproven hypothesis that fats are the greatest evil.With expert science and compelling storytelling, Gary Taubes investigates the history of nutritional science which, shaped by a handful of charismatic and misguided individuals, has for a hundred years denied the impact of sugar on our health. 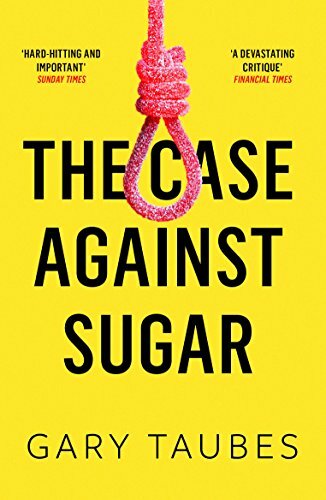 He exposes the powerful influence of the food industry which has lobbied for sugar's ubiquity - the Sugar Association even today promoting 'sugar's goodness' - and the extent that the industry has corrupted essential scientific research. He delves into the science of sugar, exposes conventional thinking that sugar is 'empty calories' as a myth, and finds that its addictive pleasures are resulting in worldwide consumption as never experienced before, to devastating effect., The Case Against Sugar is a revelatory read, which will fundamentally change the way we eat.